LEGO Math Games! LEGO is all about math. Playing with it requires various math skills and spatial reasoning. The great thing is that LEGO is such an engaging toy it is likely that math is not even on the minds of the kids who are playing with it. 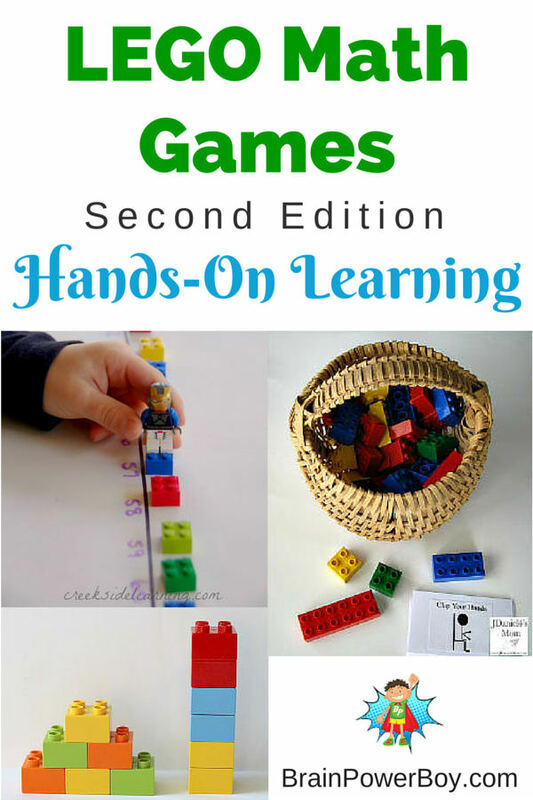 Playing games is a great way to get a concept to “stick” and these LEGO math games are no exception. In a lot of the reading I do they say that playing math games can make a big difference in a child’s understanding of math. We all know that understanding concepts is much more important than simply memorizing something. With this Greater than, Less Than LEGO Math Game boys can learn the concept of greater than and less than in a very LEGO, very visual way. Have preschoolers? Try this simple LEGO preschool math game. They used Duplo in the example. You could adapt this game for older players as well by adjusting the rules. Here is an interesting game where you build a creation that matches the card. There are other ways you could play such as racing to create a build or creating your own set of cards based on your boys’ interests or building level. DIY Portable LEGO Math game. 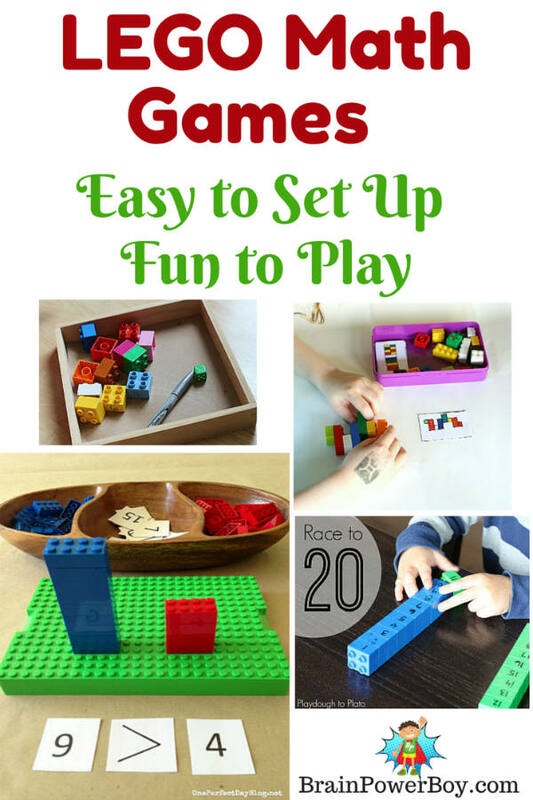 Race to 20 is a super easy to set up LEGO learning math game where you use dice and LEGO to build a tower. Use the LEGO dice below in this game for some added fun. This Baseball LEGO Math Game looks like a lot of fun. If you have a baseball fan I would say you should give this one a try first. Directions and a free printable score sheet are on Teach Mama’s site. I found this neat LEGO dice printable which you can use to play some of these games or better yet, make up a LEGO Math Game of your own. Let me know if you have other good ideas for playing math games with LEGO by leaving a comment! 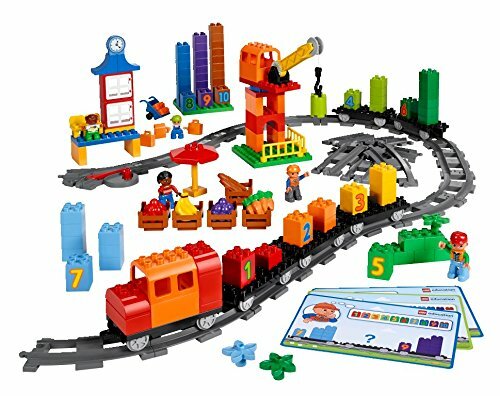 Legos are great for the construction and imagination games they are designed for AND for so much more! From toddlers learning eye-hand coordination and colors, to more advanced math manipulatives and skills, these little bricks bring motivation wherever they go! 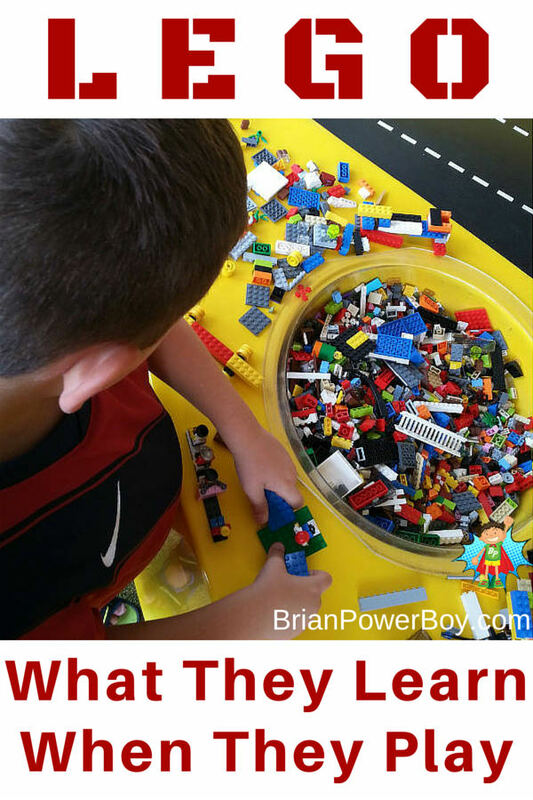 Love this post, Legos are everywhere in my house so it’s always great to have more ideas of what to do with them. Pinned! Thanks for the pin. Always appreciated 🙂 It is nice to have a few extra things to do with the big collection, isn’t it? My kids have always loved Legos. We’ll have to play some of these games. Thanks for popping in Susan 🙂 We are going to try a few too. Wow!! these are some great ideas! I love the racing to 20 idea…I have competitive genes, so I have a feeling that one will work 🙂 thanks for the ideas! They are great aren’t they? I gathered them together but credit for the ideas goes to the bloggers in the post. That is funny that your son said that. There certainly have been a lot of changes in LEGO over the years. These are fantastic! My kids love the game where you build what’s on the picture…I’m making a set with new pictures as we speak because they’ve mastered the ones we printed! And I love the preschool game. Can’t wait to try it with my preschooler. Thanks for the great ideas! Hey Lindsay–thanks so much. Glad you liked the ideas I gathered. I like the one with the pictures as well. Neat that you are making new cards! 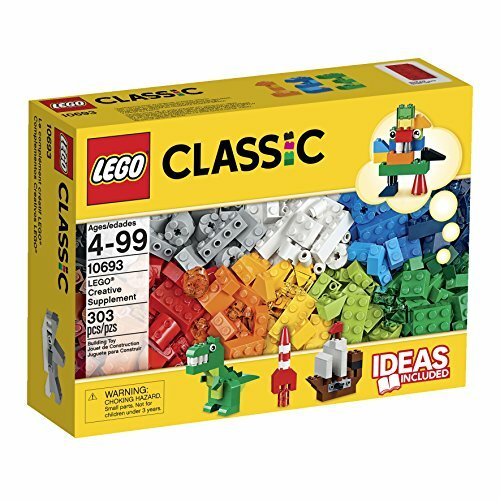 Such good ideas – if my two are going to love lego as much as their dad then I’ll be using all these activities! Hi Clare, I am going to have to do a duplo post for your little ones. LEGO and Duplo can be great for learning. Math couldn’t be more fun than with legos! I agree that LEGO can certainly put a fun twist on learning. Thanks for hosting the linky. Lots of Lego here in this home with three boys, and well even our eldest daughter enjoys it from time to time 🙂 Thanks for sharing the math principle aspect! Good reminder. Anyway, I’m visiting from “Inspired By Me Mondays”; was so nice to have you join us last week!! Please come & stop by this week with some more amazing posts!! Glad you liked the math aspect Rach. We are big into LEGO here as well. Thanks for the invite to share in your linky. How did I miss this post before??? 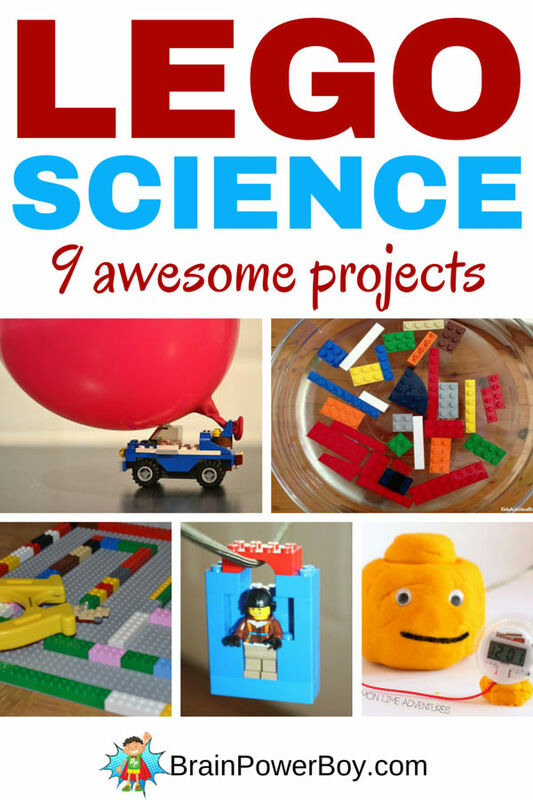 These are great ideas and I can’t wait to use our MANY Legos for math! So glad to hear you found the post and can use the ideas. We Love LEGO! 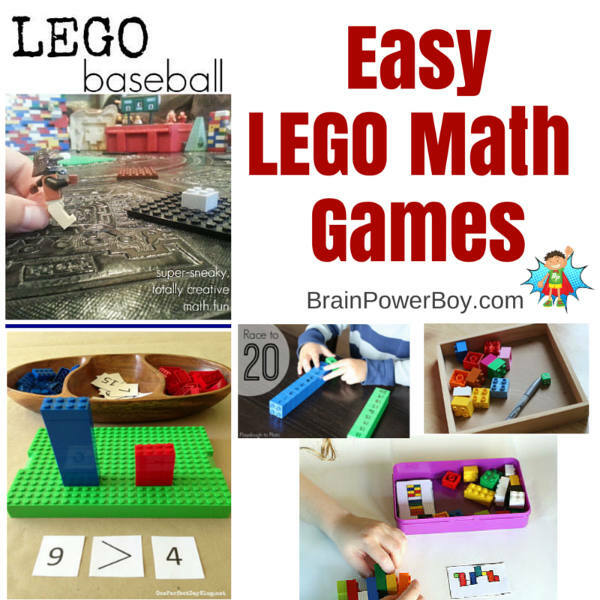 I love the idea of using Lego’s to learn more about math, these are great games! So many great ideas with the Legos! I love it! Thank you for sharing at Sharing Saturday!! Thanks Carrie. Thanks for having the party! Using manipulatives is the best way to grasp mathematics, I think! Thank you so much for sharing! I hope you’ll come back again this week for Awesome Life Friday! Thanks for hosting the party Lynda. I agree that hands-on works so well for mathematics. Thanks for stopping by. Great Ideas! 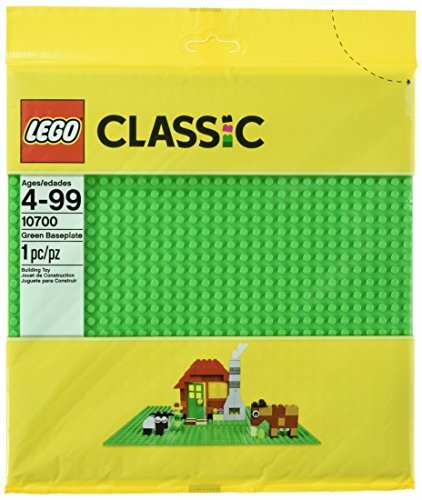 I have a Lego lover that will love these. Thank You! So glad to hear you can use the games. Thanks for the comment! I love this; my son will not realize that he is even doing math. 🙂 Playing with math is a great way to learn it!